Our stair stickers and decals are designed to be applied to the vertical part of the stair known as the riser. 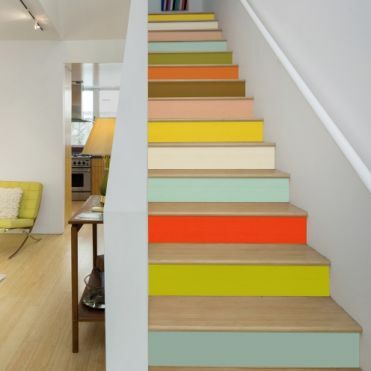 We have a wide range of options including colour variants to enable you to create stunning coloured stairs at a fraction of the cost and the time involved in painting each step in a different colour. We also have a range of contemporary and period patterns to choose from, also available in a colour of your choice. The stickers are very easy to apply and long lasting thanks to a protective coating. 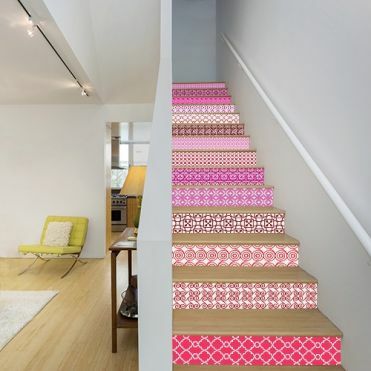 Coloured stair stickers in a selection of palettes. 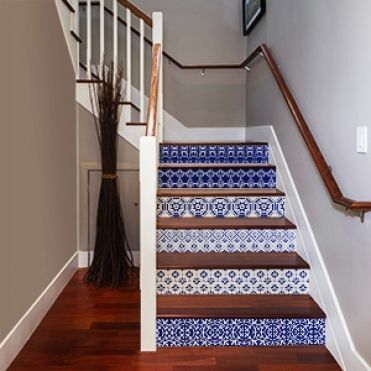 Designs inspired from Victorian tile patterns. Contemporary patterns in a choice of colours. If you can't find what you are looking for, or if you are looking for a particular design, or if you'd like to copy an existing tile pattern, please get in touch with our custom design department. Below is an example of a bespoke design where the client sent us one of his floor tile, which we then scanned with a high resolution scanner to create a digital image of the pattern. 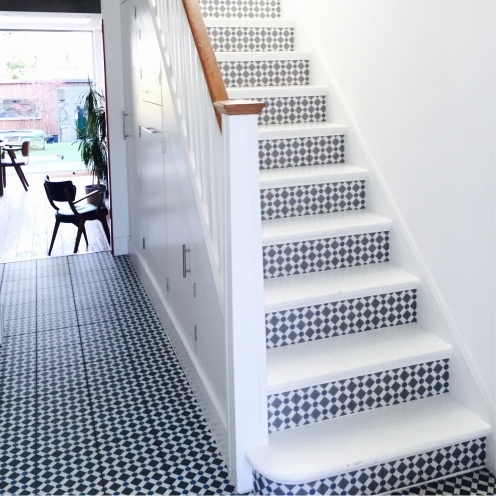 We then used the pattern to create the stair stickers, and the result is this stunning landing and hall.